Sultan Kosen is a Turkish Kurdish farmer who holds the Guinness World Record for tallest living male at 8 ft 3 inch. His growth resulted from a tumour affecting his pituitary gland. His stature is such that he must use crutches in order to walk. Sultan Kosen born 10 December 1982. He lives with his parents, three brothers and sister who are all of normal height. He was unable to complete his education because of his height, so instead works part time as a farmer. He describes the advantages of being tall to help his family with domestic tasks such as changing light bulbs and hanging curtains. He lists disadvantages as not being able to find clothes and shoes or finding it difficult to fit into an average-sized car. In October 2013, Kosen married Syrian-born Merve Dibo, who is ten years Kosen’s junior. 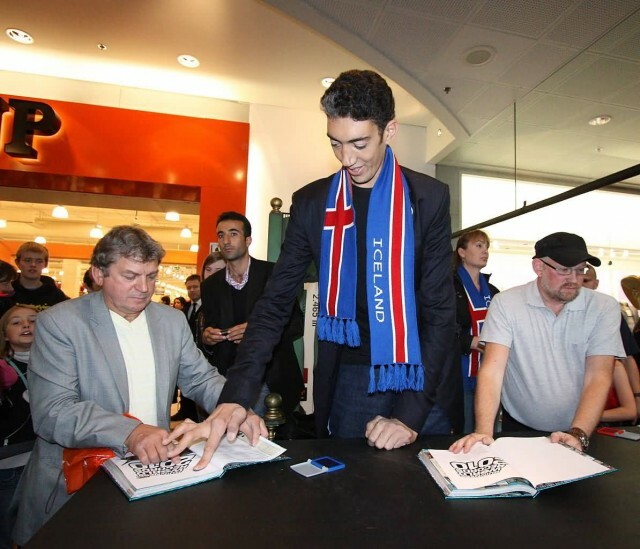 On 13 November 2014, as part of Guinness World Records Day Kosen met for the first time the world’s shortest living man, Chandra Bahadur Dangi, at an event in London. Yao Ming (born September 12, 1980) is a retired Chinese professional basketball player who played for the Houston Rockets of the National Basketball Association (NBA). He was selected to start for the Western Conference in the NBA All-Star Game eight times, and was named to the All-NBA Team five times. At the time of his final season, he was the tallest active player in the NBA, at 2.29 m.
Yao, who was born in Shanghai, China, started playing for the Shanghai Sharks as a teenager, and played on their senior team for five years in the Chinese Basketball Association, winning a championship in his final year. After negotiating with the CBA and the Sharks to secure his release, Yao was selected by the Houston Rockets as the first overall pick in the 2002 NBA draft. He reached the NBA Playoffs four times, and the Rockets won a first-round series in the 2009 postseason, their first playoff series victory since 1997. In July 2011, Yao announced his retirement from professional basketball due to a series of foot and ankle injuries which forced him to miss 250 games in his last six seasons. 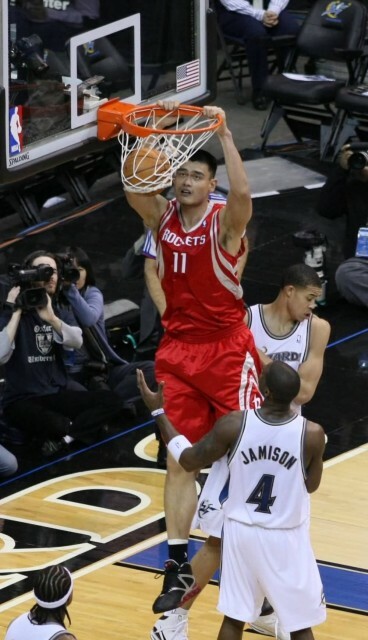 In eight seasons with the Rockets, Yao ranks sixth among franchise leaders in total points and total rebounds, and second in total blocks. 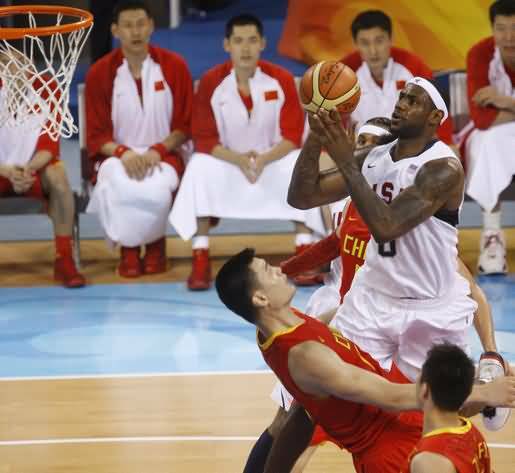 Yao is one of China’s best-known athletes, with sponsorships with several major companies. His rookie year in the NBA was the subject of a documentary film, The Year of the Yao, and he co-wrote, along with NBA analyst Ric Bucher, an autobiography titled Yao A Life in Two Worlds. 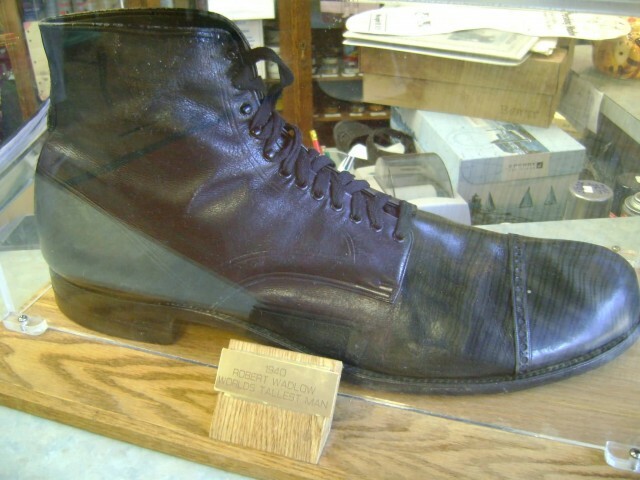 Robert Pershing Wadlow (February 22, 1918 – July 15, 1940) also known as the Alton Giant and the Giant of Illinois, is the tallest person in recorded history for whom there is irrefutable evidence. The Alton and Illinois monikers reflect the fact that he was born and grew up in Alton, Illinois. 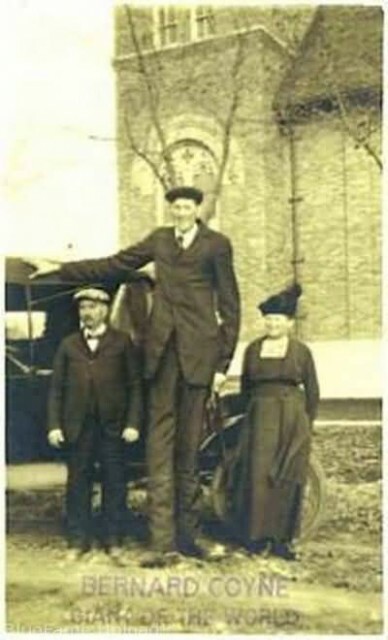 Wadlow reached 8 ft 11.1-in in height and weighed 199 kg at his death at age 22. His great size and his continued growth in adulthood were due to hyperplasia of his pituitary gland, which results in an abnormally high level of human growth hormone. He showed no indication of an end to his growth even at the time of his death. 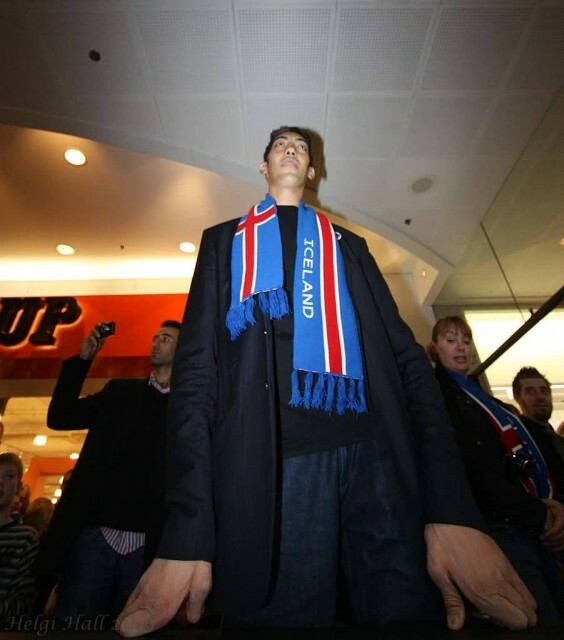 Vaino Myllyrinne (27 February 1909 in Helsinki – 13 April 1963 in Jarvenpaa, Finland) was an acromegalic giant who was at one time (1961–1963) the world’s tallest person. He stood 222 cm and weighed 197 kg at the age of 21, but experienced a second phase of growth in his late thirties, attaining a height of 251 cm. Myllyrinne is considered the tallest soldier ever, having served in the Finnish Defence Forces. He underwent his conscript training in 1929 in the Viipuri Heavy Artillery Regiment, and was 220 cm tall and very strong. In the 1930s he travelled around Europe as a professional wrestler and circus performer. He returned to Finland in 1939 to serve in the Finnish Army during the Winter War. In 1946, he moved to Jarvenpaa and ran a chicken farm. He died in 1963 and is buried in Jarvenpaa. He was also voted 12th greatest Finn in the TV show Suuret suomalaiset, largely due to a tongue-in-cheek Internet campaign criticising the idea of the show. The advocates of the campaign thought that because one cannot pick just one person to be the Greatest Finn for their accomplishments, Vaino Myllyrinne would actually be the “biggest Finn” because of his height (in Finnish, the word suuri means both “big” and “great”). In 1962, just a year before his death, he was measured by doctors at 8 ft 1 in. He had a 15.7 inches hand span, the greatest known. 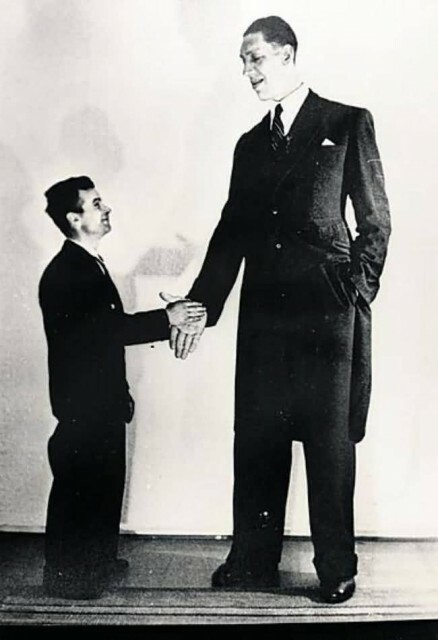 Bernard A. Coyne (July 27, 1897, – May 20, 1921) is one of only 17 individuals in medical history to have stood 8 ft tall or more. Coyne may have reached a height of 8 ft 4 in tall at the time of his death in 1921. His World War I draft registration card, dated 29 August 1918, lists his height as 8 ft. The Guinness Book of World Records stated that he was refused induction into the Army (1918) when he stood at a height of 7 ft 9 inches. Coyne was the tallest ever eunuchoidal infantile giant, a condition also known as Daddy Long-Legs Syndrome. 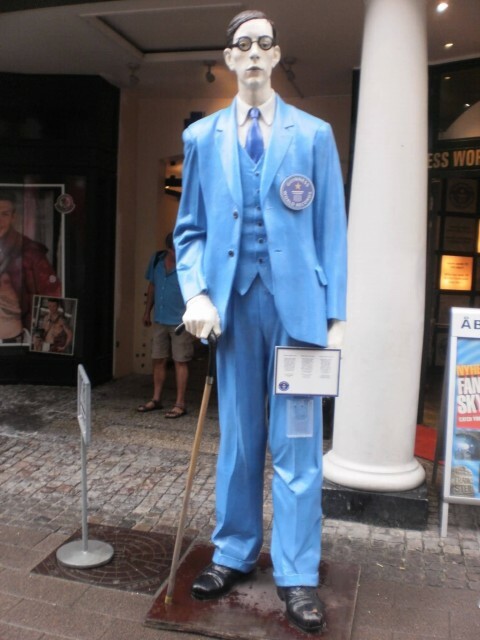 He was the tallest person in the world at the time of his death when, like Robert Wadlow, he was still growing. He reportedly wore size 25 (American) shoes.